When I add buildings and scenery to the layout - some months in the future, admittedly - I do not want the final visual effect to be toy-like or slavishly accurate, either in terms of adhering perfectly to scale or being fantastically detailed. 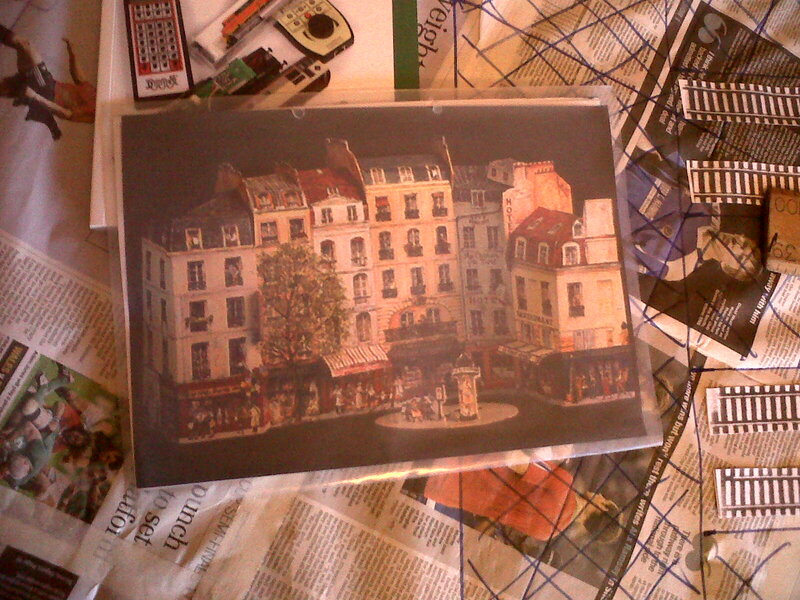 I simply want to create the impression of a French town. Nevertheless, my eye was definitely caught by this photograph on the web of a highly detailed French town square made of card. I know nothing about who manufactures this and I can't remember where on the web I found it. But I did download the picture and so have printed it off for inspiration.